Advertise your 80s theme party or artistic affair with the versatile Retro Colors Poster. 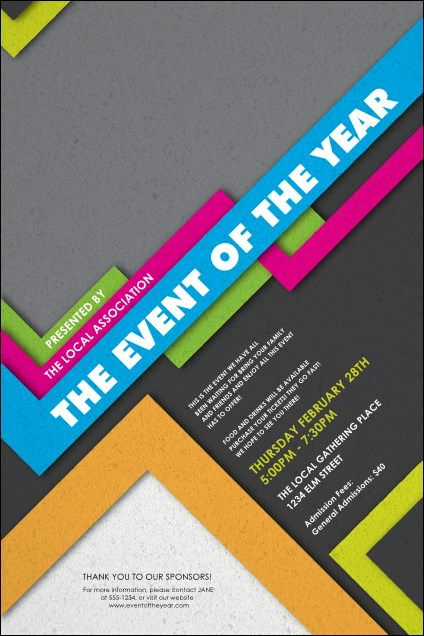 The all-purpose design features angular lines in bright orange, green, and blue, with clear white text for event details. Order a Matching Event Kit for coordinating tickets, invitations, and VIP passes. Browse TicketPrinting.com's online gallery for awesome designs!